El Paso Texas, June 30, 2007 vs. Lou Savarese. I will not quit until I am a five-times world champion. 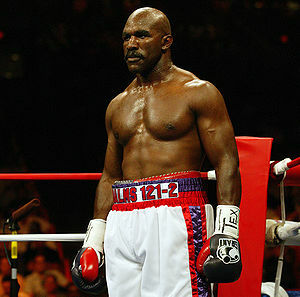 "Holyfield wins and vows not to quit"; after defeating Lou Savarese June 30, 2007. This page was last edited on 6 December 2018, at 22:28.